To my regular readers, I must apologize for the break in content. I had a freak accident on Thanksgiving Day, where I slipped in the bathtub and managed to nearly sprain my ankle. After a trip to the emergency room, some hand-wringing and painkillers, I can report that while there is some residual pain, the diagnosis isn’t as bad as I had feared. Still, it’ll be a while before my injury fully heals. I’d heard from my doctor that it can take upwards of six months or more, during which time I’ll be babying myself so as to avoid a repeat. That being said, the blogging world does not stop just because I’m sick, so on with the show! For me, Thanksgiving has always been about the vegetables. What better way to celebrate a table laden with autumn’s bounty than to showcase all the myriad ways of enjoyment that the autumn harvest brings? I’m not just talking about the sides that you might have with your turkey either. Sometimes what you need is a bowl of salad, as a kind of palate cleanser between the nibbles that precede the meal and the more substantial dishes later on. Nearly all of the dishes in this post are doable in under 30 minutes, are simple to make, and best of all, delicious. All but the brussels sprouts are vegan (if you omit the egg, that becomes vegan as well.) You can’t ask for much more than that. Crosnes are a tuber vegetable with a dull whitish color and a knobby appearance. They have a nutty, slightly buttery flavor and a crisp texture similar to water chestnuts. You can eat them raw. Use in salads, stir-fries or as part of a roasted vegetable platter. Melt a tablespoon of unsalted butter in a skillet over medium heat. When the butter has started to foam, add the crosnes to the pan, along with a pinch of sea salt and black pepper. Cook until the crosnes are golden brown, about 5 to 7 minutes. Remove from heat and place in a bowl. Using the same pan, add some turnip greens and wilt for 30 seconds to 1 minute; do not cook longer than that. Remove from heat, and combine with the crosnes. 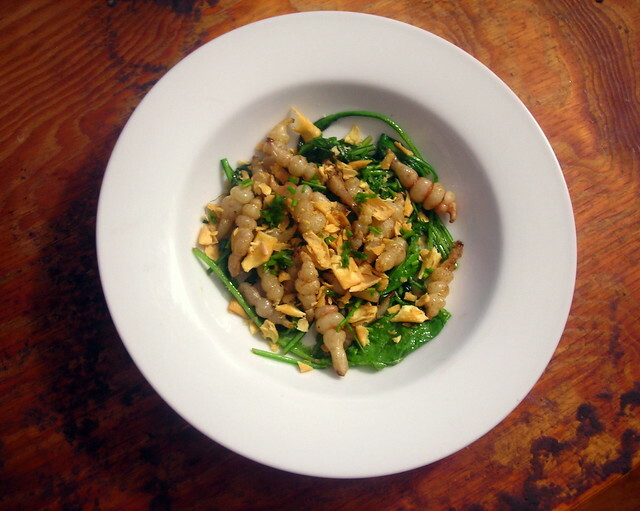 Add some crushed deep-fried Chinese noodles (or if you don’t have any, then crushed herbed croutons.) Dress with a vinaigrette made with olive oil, lemon juice, sea salt and black pepper. Garnish with chives, then serve at once. 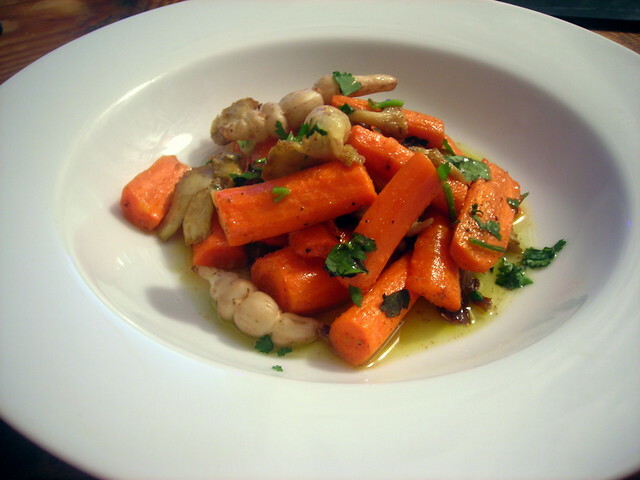 Combine carrots, mushrooms and crosnes in a bowl, along with olive oil, sea salt and black pepper. Toss a few times, then spoon onto a roasting pan or Pyrex baking dish. Roast at 350 F for 25 minutes. Make the vinaigrette — combine hazelnut oil and lemon juice. Taste for salt and pepper. When the vegetables are done, remove from heat, then spoon onto individual salad plates. Spoon vinaigrette on top, sprinkle with parsley and serve immediately. Time: About 35 to 40 minutes, including prep. As written, the recipe will serve one person. 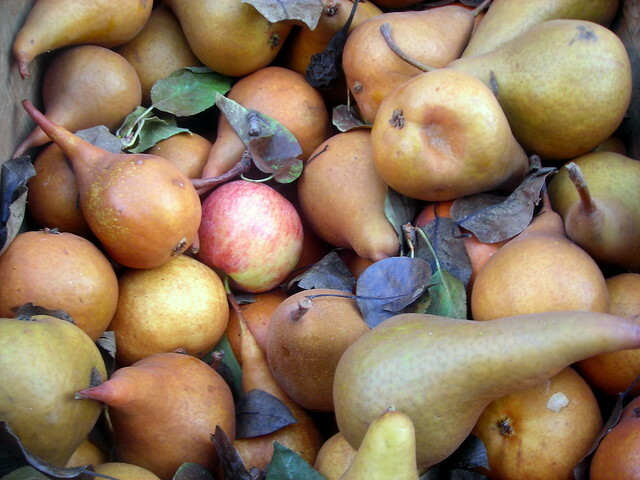 Place the apple wedges and fennel slices in a bowl filled with 1/2 cup water and a couple tablespoons of lemon juice. This will help prevent any browning from taking place due to the apple and fennel slices being exposed to air. You can do this while you’re preparing the rest of the salad ingredients. Make the vinaigrette — whisk together olive oil, lemon juice, sea salt, black pepper and oregano in a small bowl. 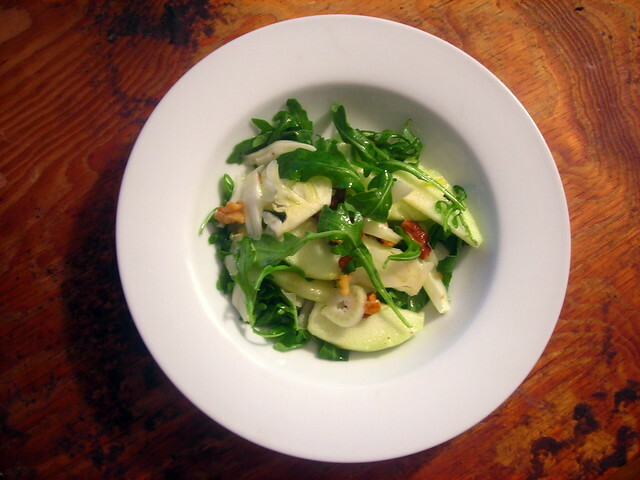 Drain the apples and fennel, then place in a large salad bowl and add the walnuts and arugula leaves. Lightly dress with the vinaigrette, then spoon onto individual salad plates. Serve at once. Time: About 30 minutes, including prep. Makes 2 servings. Trim off the base of each brussels sprout, then cut each sprout lengthwise into thin wedges; place sprouts in a large bowl and set aside. Chop chestnuts coarsely. Gently warm olive oil in a large skillet over medium heat. Add the sprouts and chestnuts to the pan, along with a pinch of sea salt and black pepper. 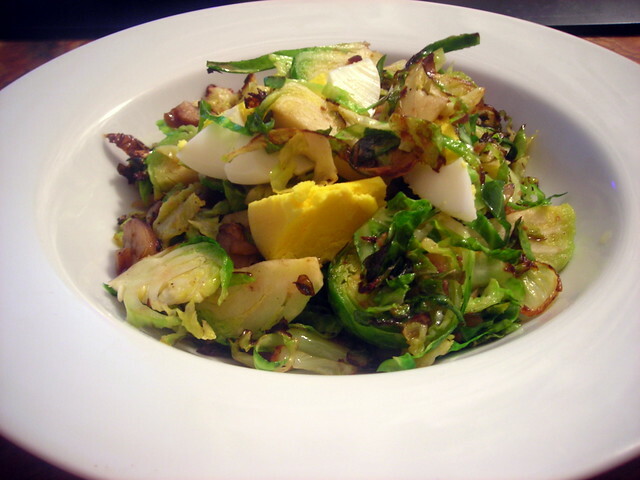 Cook the vegetables, stirring every so often, or until the brussels sprouts are golden brown. How long you let them cook is up to you. I like my sprouts with a bit of “char” to them but not so much that their sweetness is lost. Taste for salt and pepper, then remove from heat and spoon onto individual shallow plates. Top with some chopped hard-cooked egg if desired, then serve at once. 29 Nov	This entry was published on November 29, 2012 at 3:50 pm. It’s filed under American cuisine, autumn, food, food photography, Gluten-Free, recipe, vegan, vegetarian and tagged autumn, brussels sprouts, carrots, chestnuts, food photography, gluten-free, salad, Thanksgiving, vegan, vegetarian. Bookmark the permalink. Follow any comments here with the RSS feed for this post.